The other day I got an interesting question via email from a mom of a young travel volleyball player. Her daughter and her team had missed quite a few serves their previous tournament. There were serves into the net. There were serves wide of the court. There were serves over the endline. They were told by the coach that she was tracking it at the next event, and the kids would be running lines for every missed serve. The mom wondered if this was a good thing, and if there wasn’t a more effective way to help them serve better. Spend your time practicing serving! Because how would running lines make you any better at serving? Is physical punishment an effective learning tool? In sports such as volleyball, soccer, hockey, lacrosse, football, rugby, basketball, and other dynamic, complex motor learning activities, mistakes are going to happen. A lot. Young children attempting to learn in these dynamic environments, and successfully deploy a complex technical skill – defined as the execution of a decision – at the exact right moment, under pressure, are going to make many mistakes. And the only thing that is going to help them execute in these scenarios more successfully is…more repetitions of this scenario. If you don’t want to serve a volleyball into the net then you must practice serving. If you don’t want your soccer players to shoot over the net, then they must do lots of game-like finishing activities. If you want your goalkeepers to catch a cross, then they must field thousands of crosses with players around them competing for the ball. If these mistakes happen in a game, they can only be improved in practice. And in that valuable practice time, if the coach says “put away the balls, we are going to run!” instead of actually PRACTICING the technical motor skills needed for improvement, can someone explain to me how it will help athletes improve their skills? 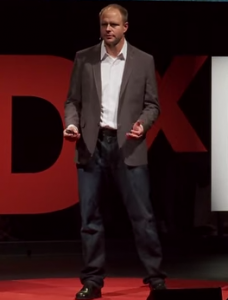 Want to be a better coach? 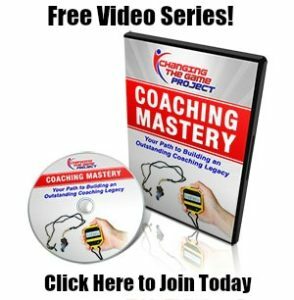 Check out our Free Video Series Coaching Mastery. But it does not work. They didn’t get better at serving or kicking, or any other complex motor activity. They may have focused a bit more. But no learning took place. Surgeons, for example, as they learn an incredibly intricate skill with huge consequences for a mistake, are never sent to do burpees if they mess up. They fix the problem, and then the senior surgeon sits down with them, breaks down the errors, they practice more, and they improve. When my wife was a medical resident -she is an OBGYN- she never once called me and said she was told to run laps of the hospital when a delivery went wrong (though it’s a funny visual, a bunch of white coats running down the halls with a senior physician chasing them yelling “how dare you cut into the bladder!”). Motor skills are improved by repetition of motor skills deployed in their environment. If we waste our limited practice time doing physical punishment, it will not improve these areas of weakness. Threatening physical punishment induces stress and fear, two elements that diminish physical performance. Professional sports teams employ psychologists, physios, nutritionists and a variety of experts to diminish fear, anxiety and stress in top-level athletes, as they are performance inhibitors. If we are purposely introducing these elements into training, how exactly are we helping? Physical punishment causes fatigue, and fatigue inhibits learning. That’s right, the more you condition, the less able your athletes are to learn. That is why strength and conditioning are usually separate training blocks for higher level athletes. Our practice time is limited. I have yet to meet a youth or high school coach who is saying “can I give some practice time back, I have too much.” Why would we waste our skill training hours doing physical work? Physical punishment only serves the coach. It is kind of like vomit: the coach feels better and everyone else feels worse. And in the end, your athletes are no better at the activity than they were before you started running. Physical punishment is only used because of tradition. I get it, you were coached that way. So was I. What else have you tried? Let’s break the cycle. 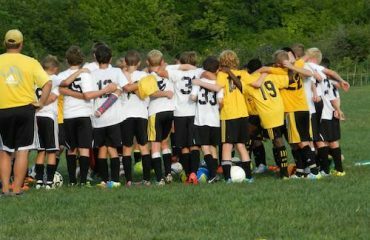 Excessive physical punishment will likely lead to many kids not returning next season. Would you come back when there are a million other things you could do, and you are berated for your lack of skill, yet not taught to improve that skill? Are You Saying We Shouldn’t Do Physical Conditioning? Of course not. Physical training is a critical part of every athlete’s routine. 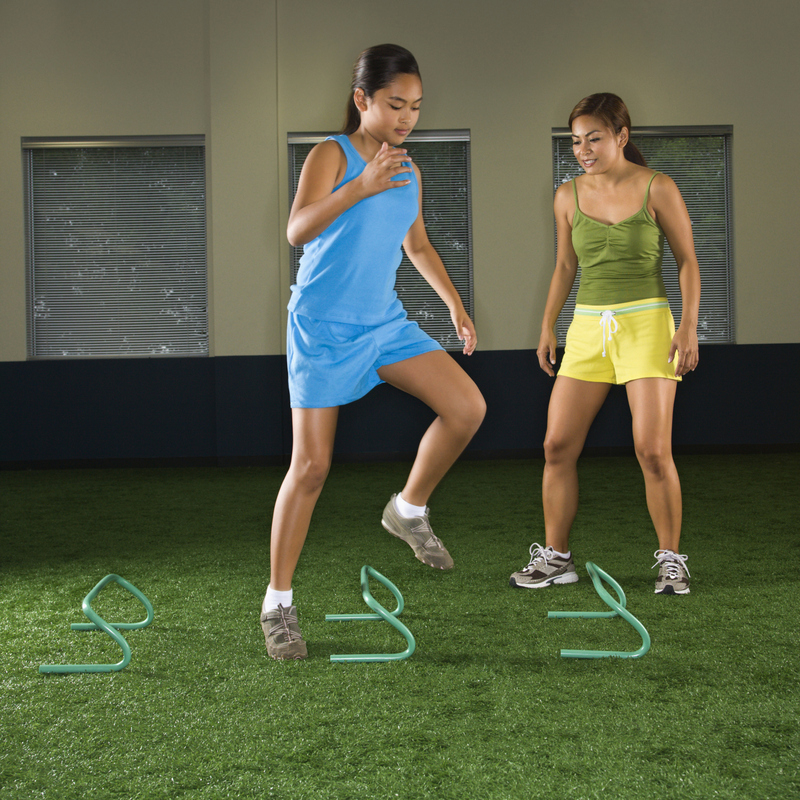 Hopefully for those of us working with youth athletes, and for that matter all athletes in invasion sports, are getting most of our physical conditioning work through games based activities. They are by far the most effective way to replicate the environment and requirements of the sport. As athletes get older, of course we add in some non-ball related activities, weights, movement, etc. Without a doubt, though, conditioning is necessary. The problem when we use conditioning as punishment is that conditioning becomes something to be avoided at all costs. When an absolutely essential element of your training is seen as something to be avoided at all costs, that is a bad thing. Any who’s who of elite athletes includes a list of athletes who love to practice, and who embrace the struggle. Some even say they love to suffer through a difficult workout. There is a lot of evidence emerging that positive environments are far more effective development zones than threat-based ones. And there is a lot of evidence that when you can turn conditioning into something to be embraced, and even as a reward for doing things right, you can create a great scenario. I highly suggest looking into Proactive Coaching’s great resource “Team Building Through Positive Conditioning.” It is an excellent resource for how to do this. Why Does Physical Punishment Seem to Work Sometimes, and What Should We Do Instead? The threat of physical punishment seems to work from time to time because it can improve focus and concentration. It can get players back on task. It can get the more serious athletes to reign in those who are fooling around. And sometimes, you just get lucky and the timing of the threat coincides with the successful execution of a skill. But these are not improvements in motor learning, they are improvements in focus. But you can improve focus without physical punishment. Here are a couple of suggestions that help to improve focus at training, which creates a better learning environment. Improve focus by running shorter duration, higher intensity activities. Instead of playing a 20-minute game, play 5 x 3-minute high-intensity games, with a minute in between to collect balls, have a quick chat, etc. Have balls ready so when one goes out, the game restarts immediately. When players know that the game is limited in duration, they play harder. Play last score wins. Instead of playing to a number or time, I often play limited duration, the last goal wins games. That way, the team losing is in it till the end, and the team winning does not shut off mentally because they are up three with 30 seconds to go. Last score wins games always up the intensity and creates great competition and controversy in training, which always ups the focus. Play winner stays on. Let the joy of continuing to play be the reward, and the agony of not playing be the punishment. Change the activity. That’s right, perhaps the lack of focus is due to a poor activity, or poor field size, or poor explanation. Adapt. Give your athletes more ownership. Ask them what they want to cover. Check out our podcasts with Mark Bennett of PDS Coaching on how to use the Rule of 3 and make your players more accountable and competitive. 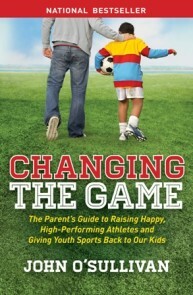 Coach the child, not the sport. Sometimes, look at who is in front of you. Have they had a rough day at school? Have we been grinding at practice for a few weeks? Just change it up, add some enjoyment and laughter, let them choose what to do. After all, isn’t that why they are out there? Ask ourselves “just because I taught it, have they actually learned it?” There is a big difference between teaching and learning, and 99.9% of the time the reason athletes cannot execute in a match is because they have not actually learned something yet, regardless of whether we covered it in practice. Check for understanding in practice. Two weeks after you have taught something, set up the same activity, same field, same scenario, and then let the players play without giving them explicit instructions on what to do. If they do things correctly, they have learned. If not, you need to teach it again. Be patient. It takes a long time to learn to play a sport. Your athletes are very likely on the beginning of their journey. This has been a hard article to write, because for many years, physical punishment was my default for technical and tactical errors. Still to this day, my first reaction when things are not going well is to think about threatening with something physical when my teams are struggling. But thankfully, I am better at responding instead of reacting, and taking a moment to breathe and get to the root of why were are not performing. It is a hard habit to break. But breaking it has created a far better learning environment. And it makes the kids want to come back the next day. The next time we see our kids struggling, take a breath, be patient, and don’t default to threats of physical punishment. Be a teacher. Help them learn. Create an environment where they are forced to focus. In other words, be the coach your players need, instead of the coach many of us wish we never had.